Our solid Merbau wood flooring is factory prefinished with a satin lacquer, giving a hard wearing floor finish with reduced floor installation costs. All lacquered Merbau flooring is manufactured with tongue and grooves on all 4 sides, allowing for fast fitting and reduced installation wastage. All Merbau hardwood flooring is kiln dried and supplied in cardboard packs. 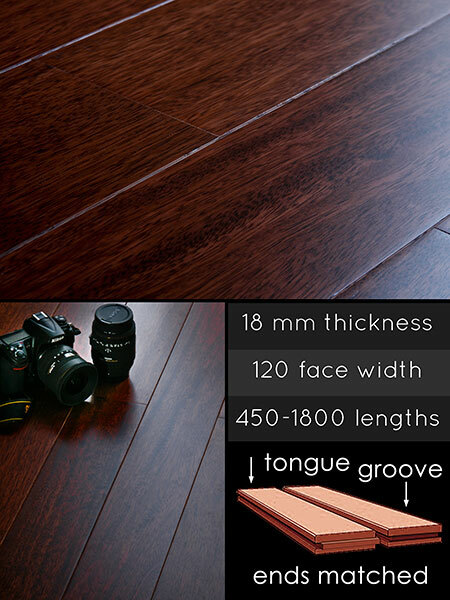 * Solid merbau hardwood flooring. * Prefinished for quick installation.